CEOSleepoutUK - CEO Sleepout London - what's it all about? We’ve recently been asked to provide answers to some key questions about CEO Sleepout London, and our events held in other cities across the UK. We though’d we’d share them with you! 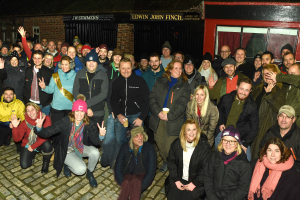 A charity and national movement where business can join together, giving up their home comforts for one night, sleeping outdoors to show compassionate leadership, and stand in solidarity with people who are trapped into poverty and who are homeless. 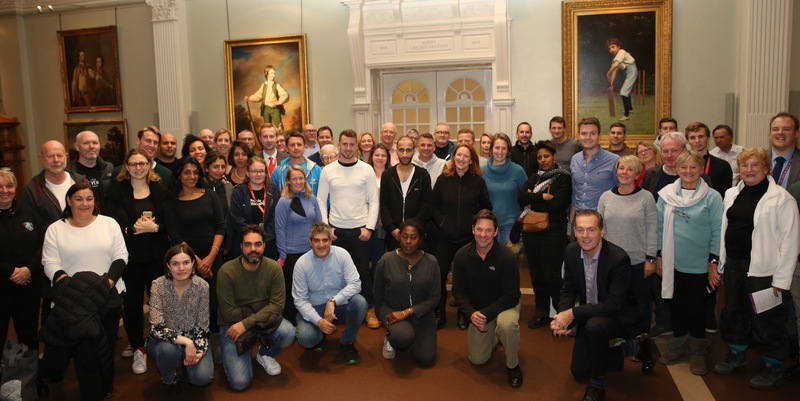 CEO Sleepout holds events in cities across the UK, in venues like Emirates Old Trafford, St James Park Newcastle, Wembley Stadium, Pompey’s Fratton Park and of course, Lord’s Cricket Ground. In London, we challenge our CEOs and execs to aim for £2000 each, and the vast majority of funds raised will stay local and make a significant difference to our partner charities. In London, funds raised will be distributed amongst 5 charities – House of St Barnabas, Borderline, Street Child United, Walking with the Wounded and CEO Sleepout charity. All of which will use the funds to support their projects with people who are homeless or at risk of becoming homeless, or those in extreme poverty. Is it just one CEO Sleepout event in London? We run CEO Sleepout events right up and down the country. Evens this year include: Newcastle, York, Portsmouth, Worcester, Durham, Leeds, Nottingham, Manchester, Darlington, London, Middlesbrough, Hull, Northumberland, Harrogate – and a few more which we are in the process of organising. You can see the full list of active events on our homepage. How many CEOs are taking part in your event? In London, 100 big-hearted business leaders will sleep out. It differs in other cities. In Manchester for example there will be over 100, and we run some events in smaller cities too and the number of participants reflects that. What do you actually do? Is it sleeping on the street – that can be pretty dangerous? CEO Sleepout London has us sleeping in Lord’s Cricket Ground which offers relative safety. We know what we do can never come close to experiencing the sheer terror of what it must be like to be a rough sleeper. But we do 3 amazing things: We raise funds, raise awareness, and gain empathy by giving our home comforts for up one night to help others. That’s a great thing! How big a problem is rough sleeping in the UK? how many people/ how many in London? Is it getting worse? Official figures would have you believe the problem is a lot less than it is. And homelessness includes “hidden homeless” such as sofa-surfers -where people are often exploited in return for a place to sleep. Since 2013, homelessness has more than doubled. That is a damning reflection of the direction our society is taking and unacceptable for the 6th richest country in the world. We’re giving a voice to business, to show leadership on this issue, and show that business cares about inequality and fighting poverty and homelessness. 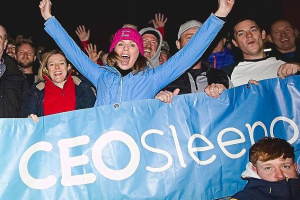 Once a business leader has experienced CEO Sleepout, they come away with a different view, a renewed passion and believe that they are integral to the solution. There are a lot of things that businesses can do to reduce inequality, and we help them find ways to do just that.